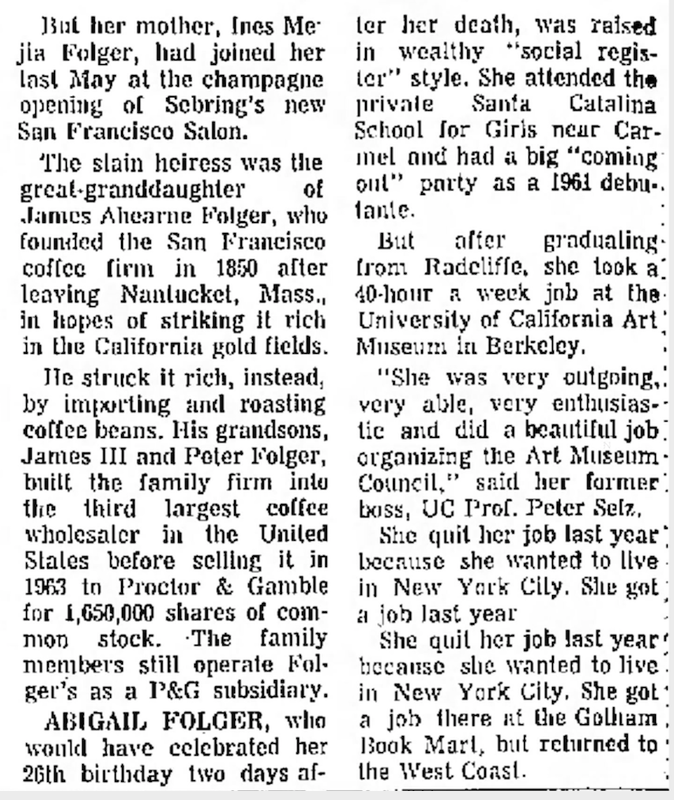 At a Christmas party at the Gotham Book Mart in 1967 Abigail Folger met the author, Jerzy Kosinski. Kosinski later introduced Abigail to his friend and fellow Polish countryman, Wojciech Frykowski. A romance developed. The two eventually shared her apartment in New York and subsequently decided to relocate from New York to Los Angeles. Three factors likely influenced this decision. First, Roman Polanski had promised his school age friend, Frykowski, that he would help him get into the movie industry, even writing a letter of introduction for him in late 1967. Witold Kaczanowski or Witold-K. Wotold-K was also a part of the circle of friends that surrounded Abigail in New York, one she met through Frykowski. 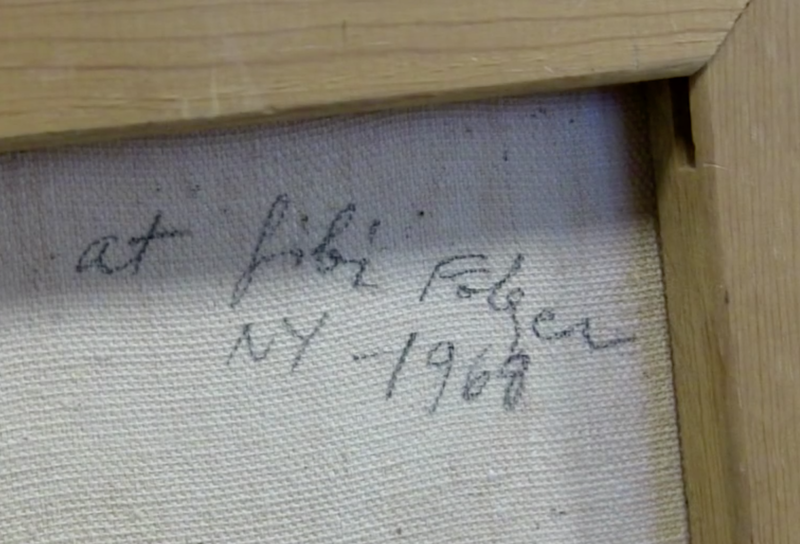 In fact, he even completed the painting below in Abigail’s apartment sometime in 1968. 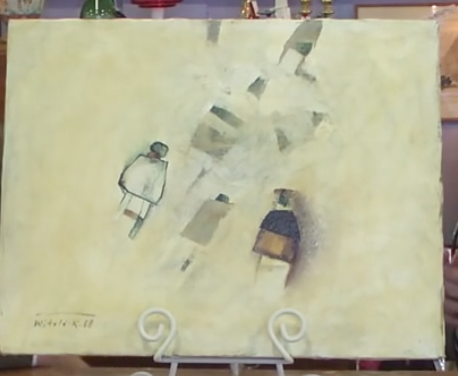 This painting is discussed in the video you can find here: http://www.mansonblog.com/2015/12/a-painting-pinocchio-manson-murders.html. The subject of the interview also says, in passing, that Frykowski, Witold-K and Abigail Folger “all came to Los Angeles in 1968”. It is possible that they came together. In fact, I think they did. In Helter Skelter, Vincent Bugliosi makes the following comment. This is one of the statements relied upon by the ‘drug deal motive’ crew to support their theory. When I read it again in connection with researching this post something about that sentence struck me as odd: how did the police know this? 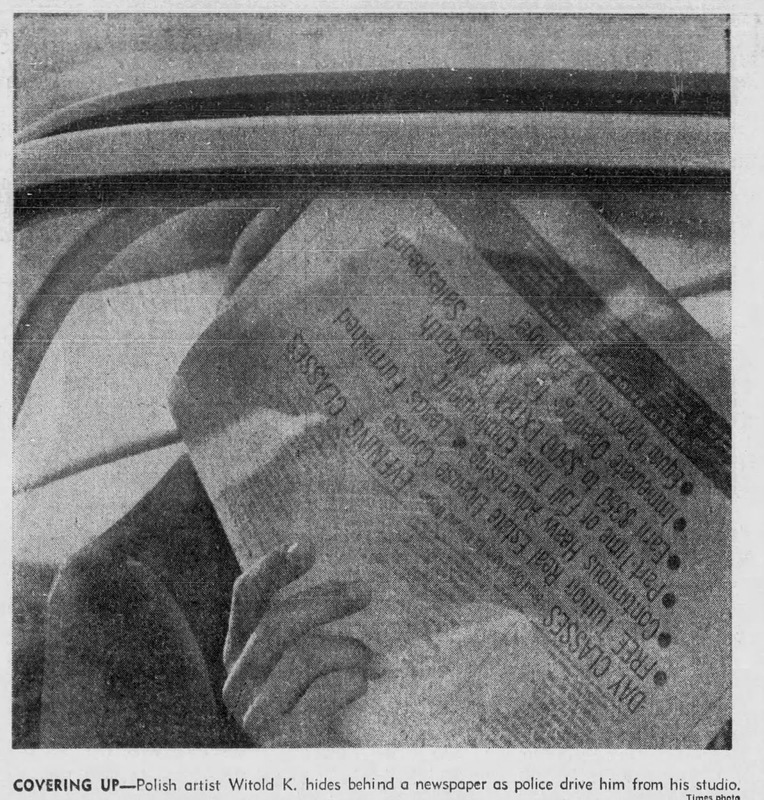 August 1969 is long before cell phone tower triangulation or GPS. 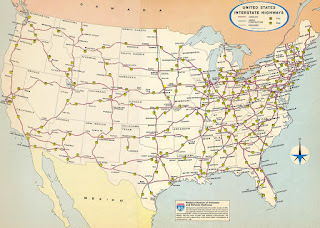 Gibbie’s credit cards might have given clues to the route they travelled from New York to Los Angeles. 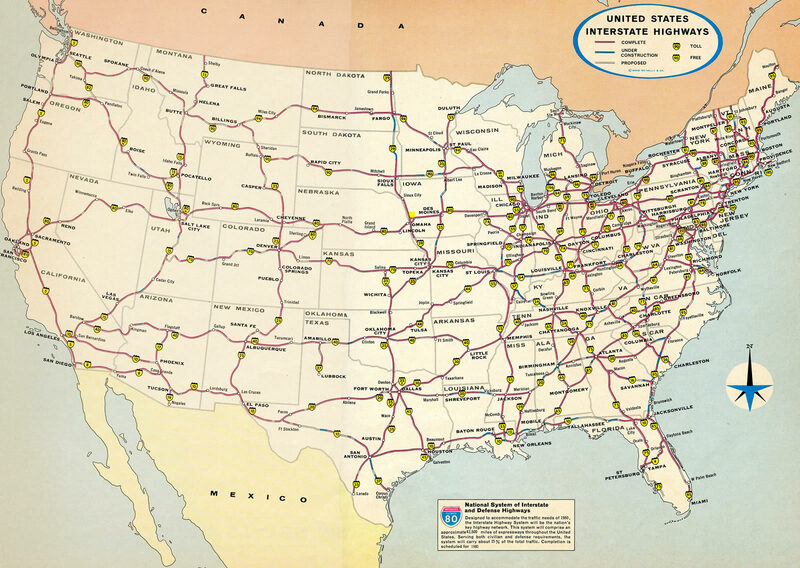 The interstate system in 1969 does indicate that one route would take them through Texas. But neither of these would provide the necessary level of detail contained in this one sentence. In fact, it would be impossible to establish these facts without a living witness. Abigail and Frykowski are not staying at a hotel but in a private home and everyone we know for certain was in that car was dead by the time this was investigated unless, there was someone else in the car. It is possible that upon arrival Gibbie or Frykowski discussed their trip in detail with someone and told that person that their host was a drug dealer. And he later told the police. 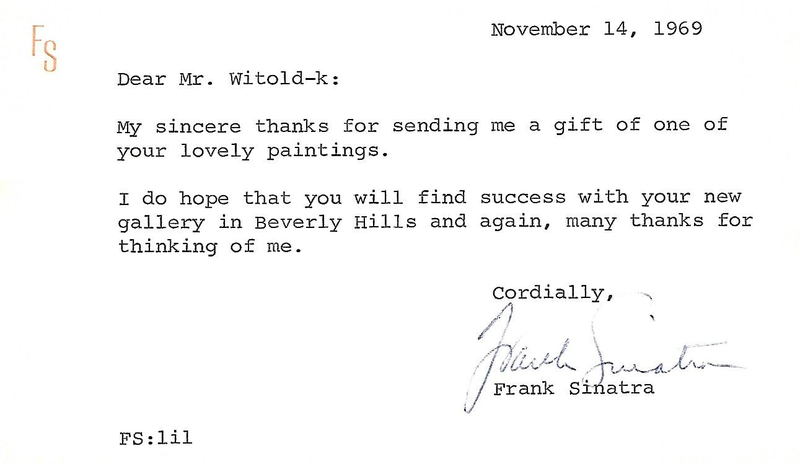 But that ‘someone’ would also likely have been Witold-K. Remember, after the murders Witold-K claimed he was next and was placed in protective custody because he allegedly knew who had committed the murders. Remember, his fear was born from his belief the crime was drug related and the fact he was supposed to be at Cielo Drive that night. 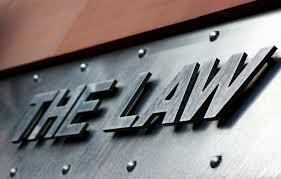 If Witold-K knew Abigail and Frykowski had spent several days at the home of a well-known drug dealer in Texas this likely contributed to his fear, especially if he, too, had spent several days there so the unnamed drug dealer knew who he was. 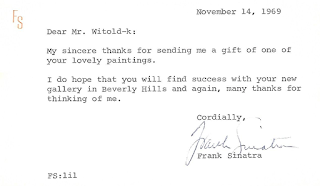 Witold-K appears in LA at about the same time as Folger and Frykowski. As a ‘starving artist’ what better way to fund the trip west: hitch a ride with a wealthy heiress. It should be noted his impecunious status changed quickly after the murders. Initially, with the help of the LAPD who bankrolled a trip to Las Vegas. In fact, Witold-K seems to have had a pretty good run after the murders. I was not able to corroborate Bugliosi’s statement nor identify the alleged drug dealer. That evidence is likely buried in the notes and memos in the LAPD investigative files or in Ed Sanders’ shed. Interestingly, there is no mention of this stop in the homicide reports even though Witold-K makes an appearance, there. 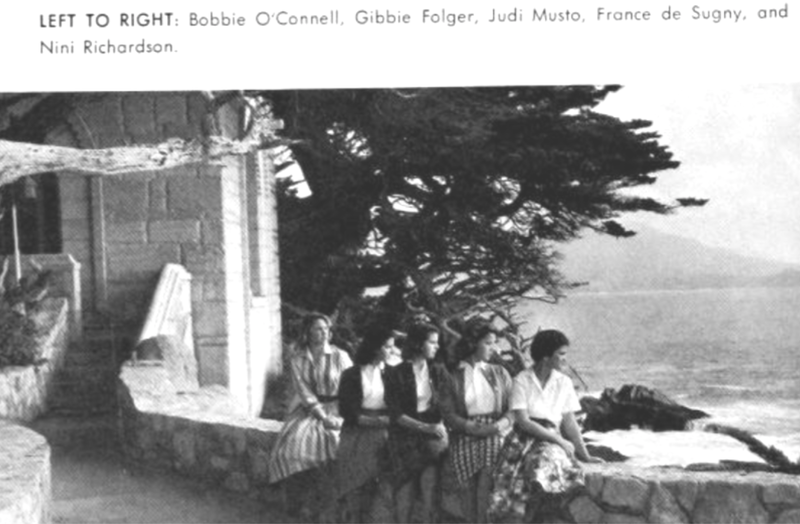 The other reason for the trip west, according to those who knew Gibbie in New York, was her interest in social work and especially a ‘new program’ in Los Angeles. I was not able to identify a 'new program' in LA in 1968. The promise of social work gave Abigail something to look forward to but it is probably far more likely that Gibbie was ‘following’ her lover to Los Angeles rather than seeking a volunteer social worker position with the county. After she arrived in Los Angeles Gibbie did volunteer social work in the Watts neighborhood of LA. I was not able to independently confirm this but it is likely accurate. Abigail’s volunteerism was a part of who she was, or at least who she was raised to be. It is likely her noblesse oblige came from her mother as my research disclosed no similar volunteerism by her father (although he sat on several boards, none I could find were charitable). She had no social work experience. 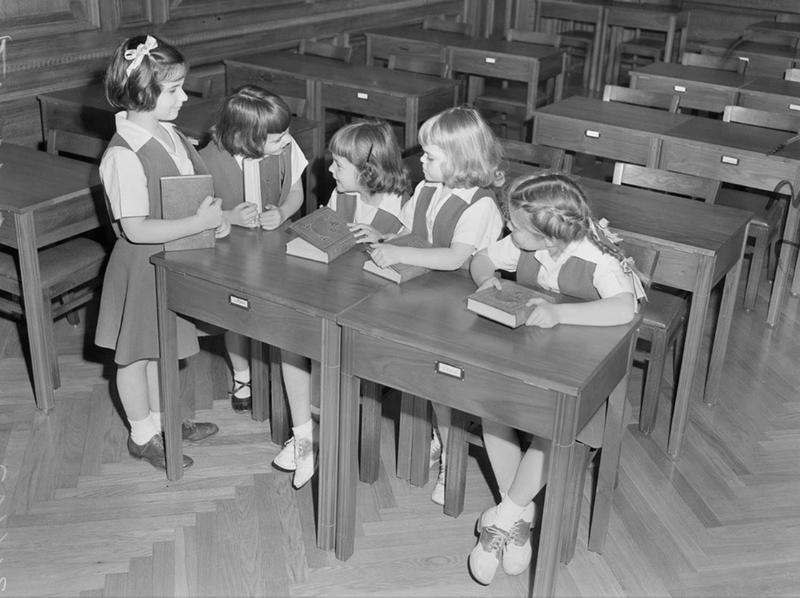 She did not qualify, educationally, for a job as a social worker. Unless she volunteered at the Free Medical Clinic in Haight Ashbury (and there is no evidence she, versus her mother, did volunteer there) she had no experience. And yet, she undertook to aid those less fortunate than herself in one of the worst parts of town, for free. Remarkable, really. Several sources cite the quote, above, attributed to Gibbie, as evidence of her commitment. I disagree. I think she witnessed the extent of the problems and couldn’t ‘leave it at the office’. Abigail stopped volunteering when she moved into Cielo Drive in March, 1969. The move is often cited as the reason she stopped volunteering. But that makes little sense. 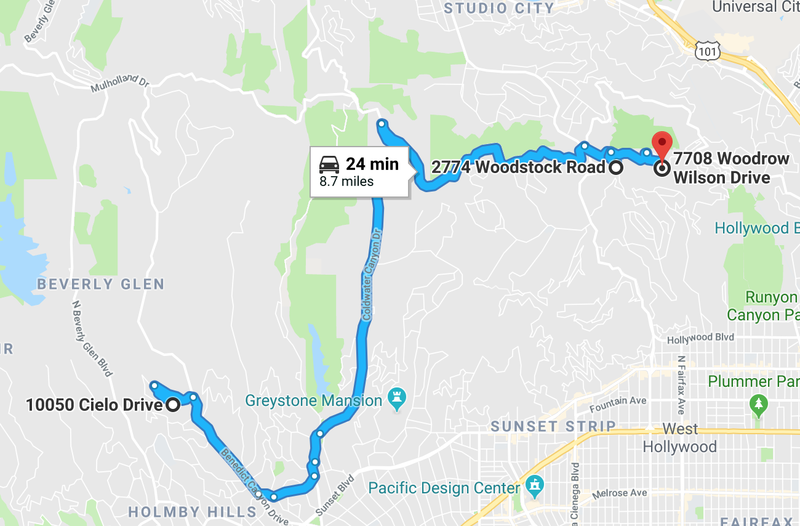 She could have driven downtown from Cielo Drive as easily as from Woodstock Road. I believe she quit because it had affected her, so she changed her focus and sought, instead to effectuate change from another direction. To me reading about the state of things in LA in 1969 it is remarkable not that Gibbie quit after only six months. To me it is remarkable she lasted six months. Sometime in the spring of 1969 Abigail Folger joined the ranks of volunteers attempting to elect Tom Bradley as the first black mayor of Los Angeles. In April, 1969 Bradley won the primary receiving 41.8% of the votes. His closest opponent was sitting mayor, Sam Yorty. 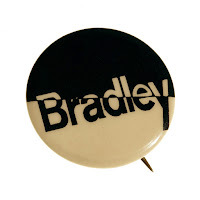 However, Bradley had failed to reach the magic 51% that would have elected him outright and thus a run-off election was scheduled between Bradley and Yorty for May 27, 1969. The 1969 Bradley-Yorty campaign has been described by some historians of such matters as the dirtiest campaign in Los Angeles history. Yorty campaigned on fear. He claimed Bradley would surrender the city to ‘black radicals’ (The Black Panthers). He alleged that Bradley’s campaign manager was a communist and that Bradley was anti-police, even predicting mass resignations if Bradley were to be elected and despite the fact Bradley had served as a police officer. Yorty played the race card and Bradley tried to stay above the fray and discuss the issues. Bradley lost the election. I scoured every photo and video I could find of this campaign hoping to catch a glimpse of Gibbie. I was unsuccessful. But at least one, person commenting here was a witnesses to the events. 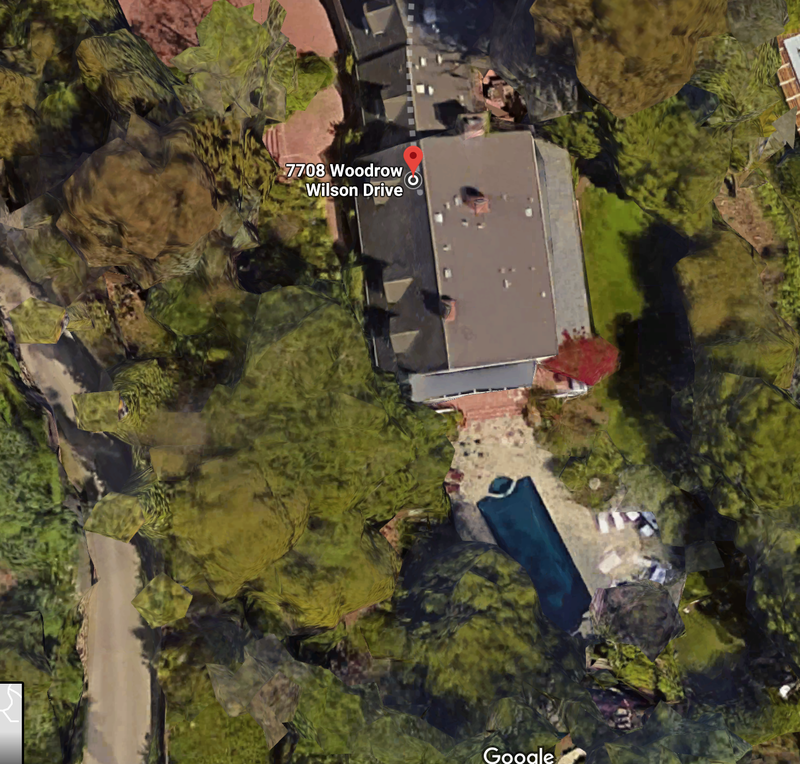 Shortly after arriving in LA, Abigail and Voytek rented a home at 2774 Woodstock Road. 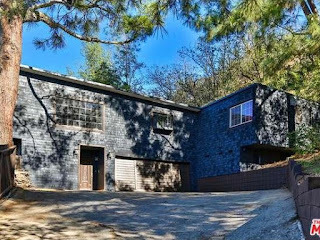 According to the county records the home had been constructed in late 1961 and early 1962 by a gentleman named Russ Schultz who lived at 2700 Woodstock Road. The Shultz’s continued to own and rent the home until it was sold in 1972. It initially struck me as somewhat odd that two strangers to Los Angeles could find this home, which is on a pretty secluded street, in fairly short order. Their only obvious connection to LA was Roman Polanski. But how did Polanski find the home for them? One possibility is another Polish émigré living in Los Angeles at the time named Paul Baran. Baran worked at the RAND Corporation. While at RAND, Paul Baran invented packet switching techniques that can be credited with playing a key role in the development of the internet. His goal was to develop a communications system that could survive the damage of a nuclear weapon. Originally, he called the process “message blocks.” Other scientists would later change the name to “packet switching”. One member of Baran’s team at RAND was a gentleman named “J.W. Smith”. In 1967 J.W. Smith lived at 2774 Woodstock Road. Mr. Smith left RAND in the summer of 1968 and, in fact, left California. It’s a stretch but the timing is right. A second more likely scenario is the proximity of 2774 Woodstock Road to 7708 Woodrow Wilson Drive, where Cass Elliott lived. 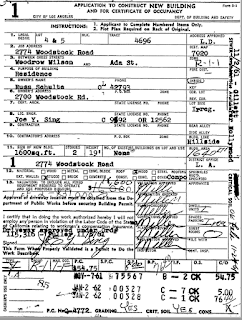 Cass Elliott owned 7708 Woodrow Wilson Drive, according to the county records, from January 1967 until her death in 1974. 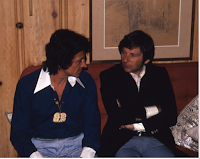 The Polanski’s were at least occasional party guests. It is possible someone connected to that scene passed on the information either directly to Abigail or through Polanski. Then again, Tate, Polanski, Folger and/or Frykowski may have simply driven past a “for rent” sign at the intersection of Woodrow Wilson Drive and Woodstock Road. Routes from Cielo Drive to Woodrow Wilson Drive take you past that intersection. First, let’s get rid of one myth. A number of sources, including several books on the subject like Ed Sanders’ The Family (pp. 95, 2002 Edition) claim that Cass and Abigail lived “across the street” from each other. There is even a video on line claiming this and filming the alleged ‘Cass house’. It simply is not accurate. As the image below from Google Maps indicates the homes were about half a mile apart. 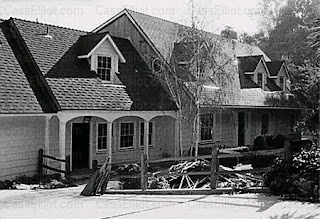 Cass’ house was the center of LA’s young, hip, movie and music society leading up to the murders. In fact, many of those who were there claim the whole ‘party’ scene ended with the murders. Initially, the 'hippie elite' believed one of their own had committed the crime and that made everyone very paranoid. But before the crimes Cass' House was the place to be. STEPHEN STILLS: I always had a place in my heart for alley cats, and David was really funny. We would scheme about a band, and one night at the Troubadour I saw Cass, who I hadn’t seen for a while, and she said, “Would you like to have a third harmony?” I said, “I’m not sure—it depends on the guy, the voice.” So she said, “When David calls you to come over to my house with your guitar, don’t ask—just do it.” I knew that the queen bee had something up her sleeve, and, sure enough, David calls me and says, “Get your guitar and come to Cass’s house.” I can see it now—the living room, the dining room, the pool, the kitchen—and we’re in the living room and there’s Graham Nash. Then Cass goes, “So sing.” And we sang “In the morning, when you rise”. GRAHAM NASH, singer-songwriter-guitarist, the Hollies, CSN, CSNY: Stephen’s completely out of his mind. I remember it clearly and so does David. It was not at Mama Cass’s. We did sing at Cass’s. But not the very first time. 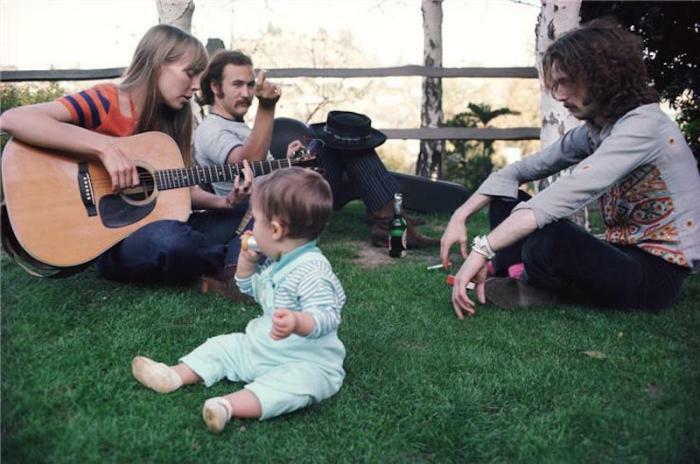 MICHELLE PHILLIPS, singer-songwriter-actor, the Mamas and the Papas: It was very lax at Cass’s house when she moved to Woodrow Wilson. Ashtrays were overflowing. She would let people write their phone numbers and messages on her walls with felt pens. She smoked a lot of pot. I wasn’t into food at that point in my life, but there were a lot of grown men there, so there must have been food. They probably called down to Greenblatt’s Deli and had 20 different platters of sandwiches brought up. 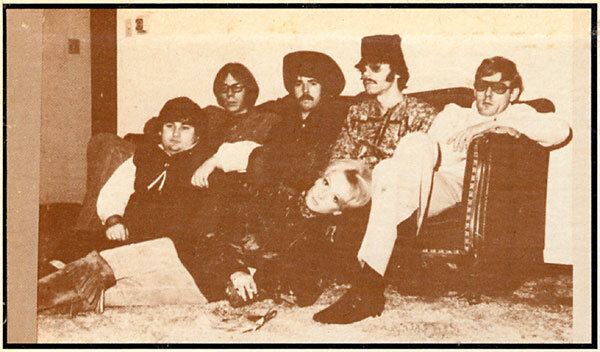 MICHELLE PHILLIPS: Before 1969, my memories were nothing but fun and excitement and shooting to the top of the charts and loving every minute of it. The Manson murders [in the summer of 1969] ruined the L.A. music scene. That was the nail in the coffin of the freewheeling, let’s get high, everybody’s welcome, come on in, sit right down. Everyone was terrified. I carried a gun in my purse. And I never invited anybody over to my house again. And Gibbie was a part of this scene. Dave Mason recalls, “One of the freakiest parts was that at Cass’s I saw a lot of Abbie Folger and Wojciech Frykowski until the Manson crew slaughtered them”. “Elliot's house was the epicenter of a scene that drew Joni Mitchell and Graham Nash (a couple at the time), David Crosby, Neil Young and Eric Clapton, as well as scores of actors and filmmakers. "I was 22 and 7,000 miles from home," says [Dave] Mason. "It was a trip. There was lots of music [being made] but one of my strongest memories is playing Frisbee outside Cass' house. She was friends with someone from the Whammo company and they'd always drop off all of their latest products. So, a lot of Frisbee was played." Mason also hung out during the summer of '69 with Abigail Folger and Voytek Frykowski, who were murdered that August alongside Sharon Tate, Jay Sebring and Steven Parent by members of the Manson Family. "Abby and Voytek were a big part of the scene," says Mason. "They were nice people; there was nothing crazy or freaky about them. The funny thing is that I could easily have been at the Tate house that night; it was a place I had visited many times." 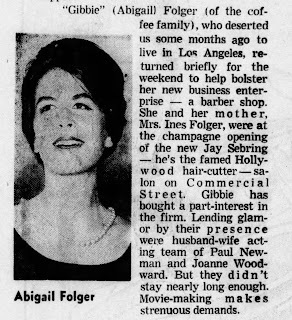 “Cass had known not only Sharon but all three of the other victims: celebrity hairdresser Jay Sebring, Woytek Frykowski, an old schoolfriend of Polanski’s, and Frykowski’s girlfriend Abigail Folger, heiress to the Folger coffee fortune. The openness of Hollywood society at the time had led to a previously unprecedented crossover between the film and rock communities; if you were successful and hip in either one or the other or at least good friends with someone who was, you were just as likely to end up at a film star’s house for the evening as a rock star’s. 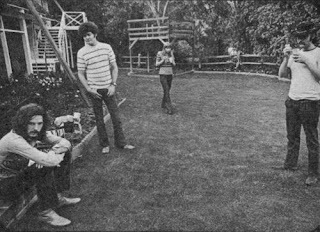 Cass’s prominence in the upper echelons of the LA social scene therefore meant she was part of a community which as well as rock stars such as Crosby, Nash, Stills, Eric Clapton plus assorted Beatles and Stones also included Warren Beatty, Roger Vadim and Jane Fonda, Roman Polanski and Sharon Tate, Mike Sarne, Dennis Hopper and Peter Fonda. Did Charles Manson and members of ‘the Family’ ever visit Cass Elliott’s home? If he did, then there is some possibility that Gibbie met the man who instigated her murder or perhaps even met the killers. 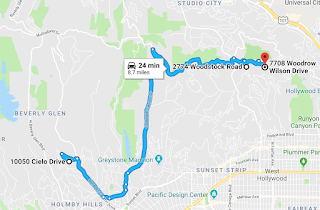 It amazed me how many sources take it for granted that Manson had been to Woodrow Wilson Drive. However, none of them I found cited a source except one. A couple sources rely on a claim, attributed to Susan Atkins, that Mama Cass taught her how to ‘bake brownies’ at Woodrow Wilson Drive. I didn't remember this so I looked it up. First, Atkins claims Cass taught her how to make a BLT, not brownies. 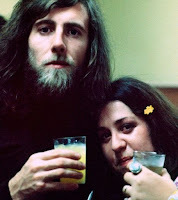 Atkins also places the event in San Francisco in 1967 before she met Manson. By then, Cass was already living at Woodrow Wilson Drive. 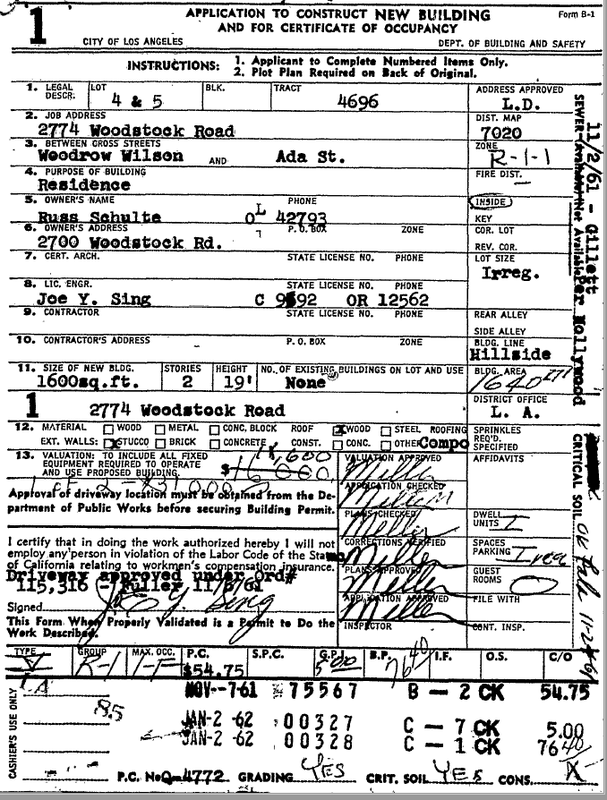 According to the county records, she bought the home from Ellis and Gloria Kadison on January 10, 1967. Maybe Atkins was simply confused and the sandwich making class took place at Woodrow Wilson Drive in 1968 or 1969. Or more likely, given her credibility, it never happened. 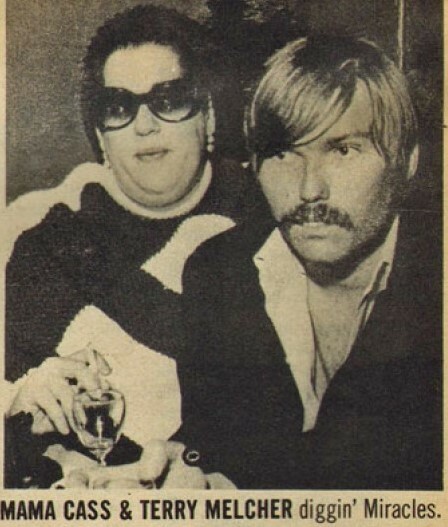 One thing is for sure, Manson et al did not simply walk in the door of Cass Elliott’s house and join the party. Every source I found who appears to have actually been to her house at the time and mentions the issue says the same thing: you either had to be invited to Cass Elliott's house by someone or you had to call first. That is not to say that 'invitations' were limited. 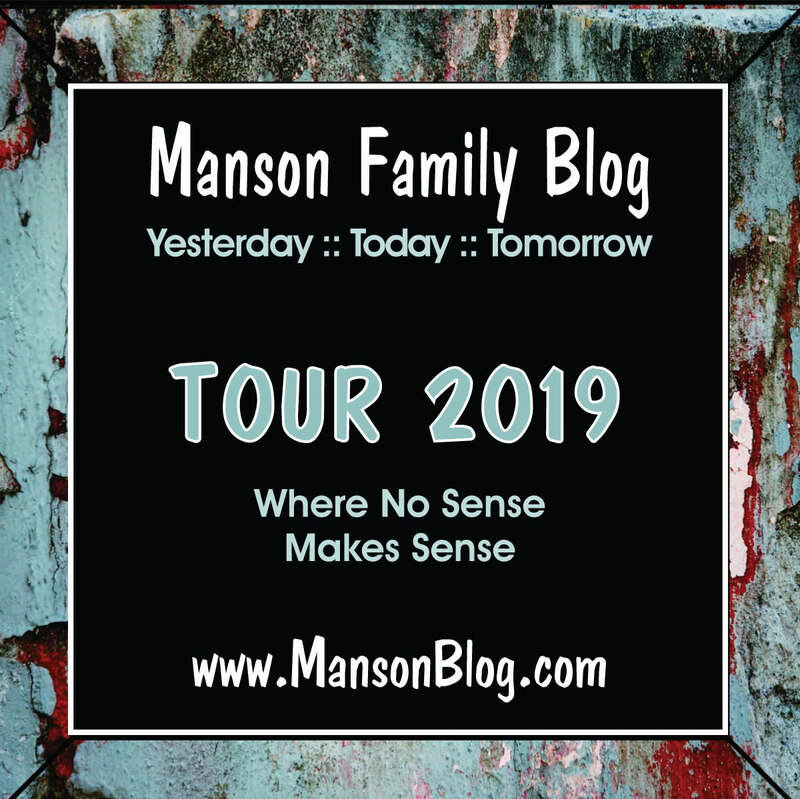 So, if Manson was there someone brought him since I doubt he called. There are a number of possibilities who might fill this role but none I researched mention taking Manson to Woodrow Wilson Drive. One source I found definitely places Charles Manson at Cass Elliott’s house: Michael Caine. In his 1992 autobiography, What’s It All About (page 269)he states that he was introduced to a ‘scruffy little man’ named Charles Manson at a party at Cass Elliott’s home by Cass Elliott. According to Caine, Sharon Tate, Roman Polanski and Jay Sebring were also in attendance. It is possible that Abigail Folger and Wojciech Frykowski were also there. No timeframe is mentioned. Caine knew Tate, Polanski and Sebring (who cut his hair). He likely did not know Abigail and thus would have overlooked her presence in his autobiography. 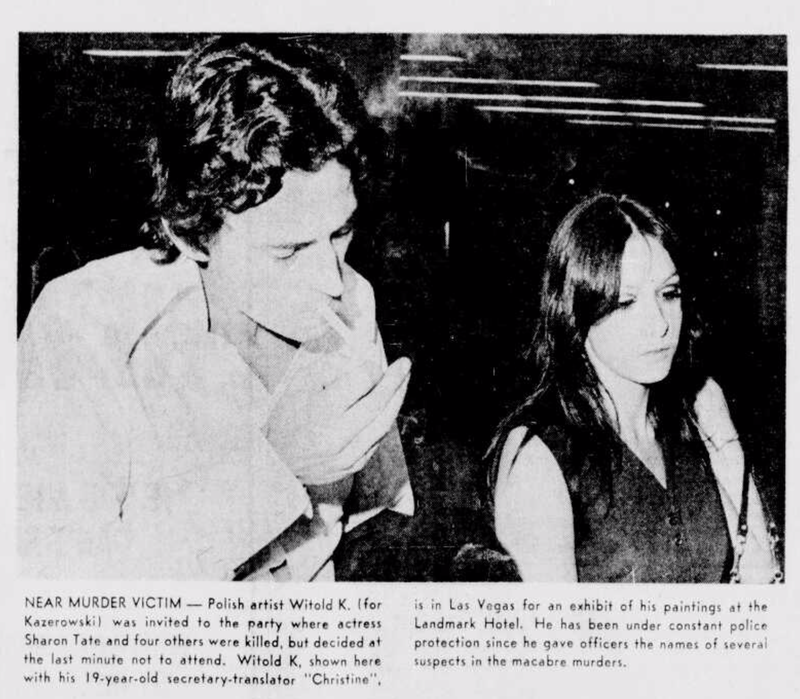 Caine states that his friend and stunt double, Johnny Morris, accompanied him to the party and insisted, shortly after the meeting, that he and Caine leave because Manson gave him the creeps. Caine and Morris were a 'team' at the time, drinking buddies who frequently attended parties together. Johnny Morris might be corroborating the event, here. I cannot definitively establish Manson’s presence at Woodrow Wilson. Nor can I prove he was never there. It is a possibility and there may be an indication of that possibility in the testimony of Susan Atkins and in her first book. Then again, the source is Susan Atkins, which makes it unreliable. A: Tex told me to go into the bedrooms -- the other rooms, he didn't say bedrooms -- go in and see if there was anybody else in the house. I went into two bedrooms, walked past one room and saw a woman sitting wearing glasses reading a book. She looked at me and smiled and I looked at her and smiled. Q: Did she say or do anything when you looked at her? A: She looked at me, held her glasses down, and looked. I looked at her and waved my hand and smiled to her and went on to the next room and saw a man sitting with his back to me and the woman lying on the bed, apparently pregnant, and they were talking. Neither one of them saw me, and I walked back into the living room and acknowledged to Tex that there were three more people. Most sources tie this event to the various parties at Cielo Drive and the ‘open party’ nature of those parties (which, is also, largely, inaccurate). But most also assume there was a party the night of the murders or that there was supposed to be a party. They use this to explain Gibbie’s lack of concern over this complete stranger wandering the halls of Cielo Drive after midnight. But to me, if it suggests anything, the event may be a sign of recognition. It may be that while Atkins did not recognize Abigail, Abigail may have recognized Atkins from some, ever so brief, encounter at Cass’s house; someone she had simply seen there and never formally met. It is highly probable that the answer to the Cass-Manson Case connection is buried under layers of paint on a walls at Woodrow Wilson Drive. 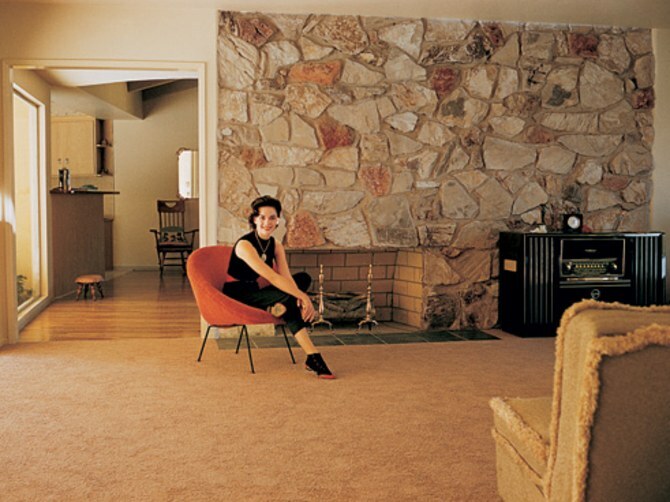 In the image to the right, Natalie Wood, one-time owner of 7708 Woodrow Wilson Drive, sits in front of a fireplace in the living room of the house. After Cass moved in this room was decorated with a gold record, a large stuffed hippopotamus and graffiti from guests. Fiegel, Eddi. Dream a Little Dream of Me: The Life of 'Mama' Cass Elliot (Kindle Locations 4191-4194). Pan Macmillan. Kindle Edition. Visitors to the home were encouraged to write their names, phone numbers and /or messages on the walls of the living room. From what I have been able to determine it was almost an insult to Cass if you refused or failed to do so. 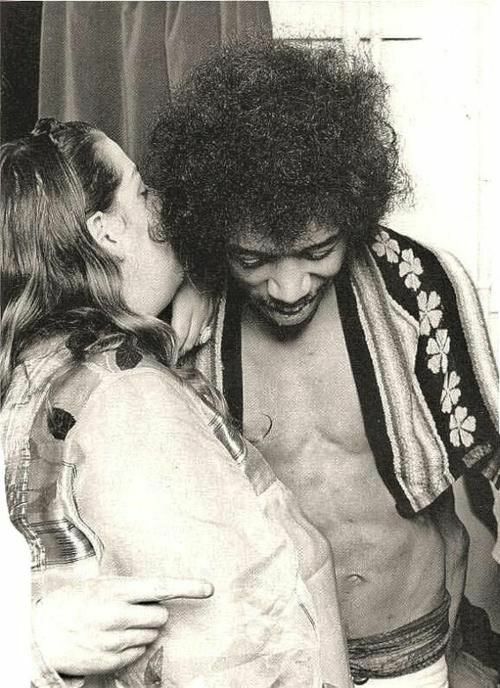 Jim Morrison, Jimi Hendrix. John Sebastian, Jimmy Page, Mick Jagger, David Crosby, Graham Nash, Stephen Stills, Joni Mitchel, Linda Ronstadt, Jackson Browne, Eric Clapton and a host of others may have once written on those walls. “Michael Caine” might have been there adding corroboration to his story. The names Sharon Tate, Jay Sebring, Voytek Frykowski and Abigail Folger likely would have been there, too. And it is possible the name “Charles Manson” may have been written on those walls. I was not able to find an image of the wall. It is likely that after the murders (how long, I don’t know) the walls were painted over. If you are a conspiracy theory buff it would not be a stretch to conclude the walls may have been repainted immediately after the crime (or at least in December 1969) to literally cover something up. I could not find a ‘modern’ reference to the graffiti. Unfortunately, a piece of lost history probably lies under layers of Sherwin-Williams at 7708 Woodrow Wilson Drive. Abigail Folger saw Dr. Marvin Flicker, her psychiatrist, five days a week at 4:30 p.m. This is not and never has been a 'normal' therapy schedule. Something or several things were clearly bothering Abigail and, based upon the schedule, causing her some pretty significant issues. According the Vincent Bugliosi, one of the last things she discussed with Dr. Flicker was her intention to leave Frykowski. Ed Sanders echoes Bugliosi's statement. Abigail was scheduled to travel to San Francisco on Saturday, August 9th at 10:00 a.m. to spend her birthday, August 11th, with her mother. I think part of her plan may have been to discuss her separation with her mother and implement the plan once Roman Polanski returned from England. Abigail appears to have been particularly close to her mother. Bugliosi notes that Inez was aware when her daughter was 'high' and was aware of her problems. (Bugliosi, Vincent. 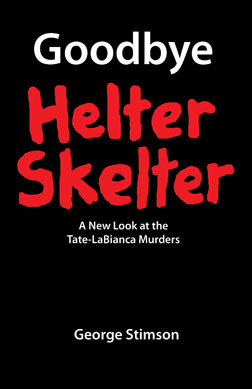 Helter Skelter: The True Story of the Manson Murders (25th Anniversary Edition) (p. 61). W. W. Norton & Company. Kindle Edition.) She also knew where she was living and who her friends were. The same cannot be said of her father. 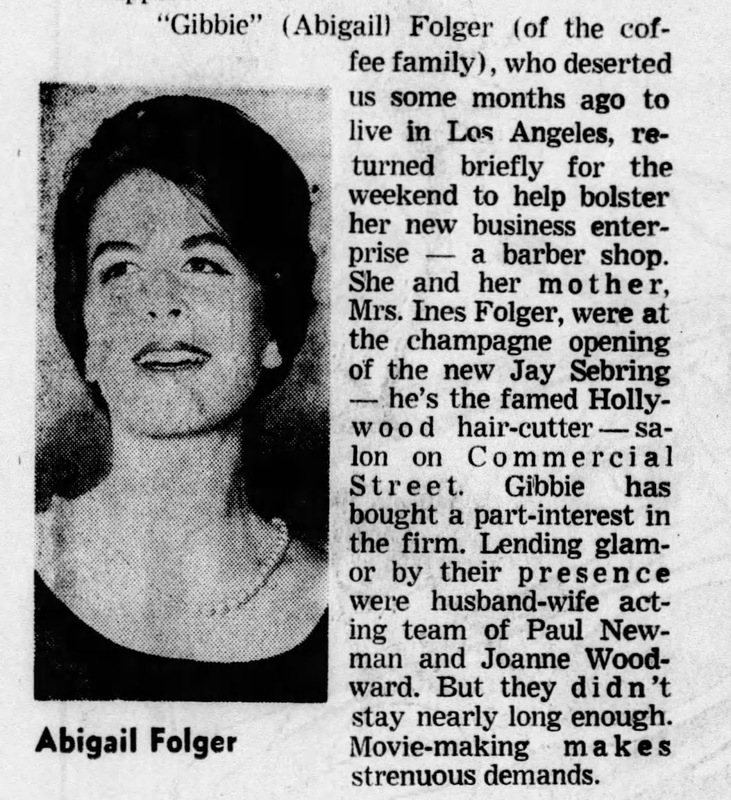 On May 24, 1969 Inez Folger attended Jay Sebring's salon opening in San Francisco with Gibbie. She made significant donations not only to the Haight Ashbury Free Medical Clinic but after Abigail's death also to the Santa Catalina School for Girls in Abigail's name. Her last phone call to her daughter at 10 p.m. the night of the murders was to coordinate their flights to San Francisco. Inez was in Connecticut. It was reported at the time that Abigail frequently commuted between Los Angeles and San Francisco. An article cited in a previous post (Part1) notes that Inez was very open about discussing her daughter and her death in later years and it appears that Inez, alone, attended several days of the trial. The comment, below, was posted to an NBC Breaking News in August 9, 2014 regarding Bruce Davis' parole, I believe. The comments are no longer available. I obtained it from the Tribute Page cited above. 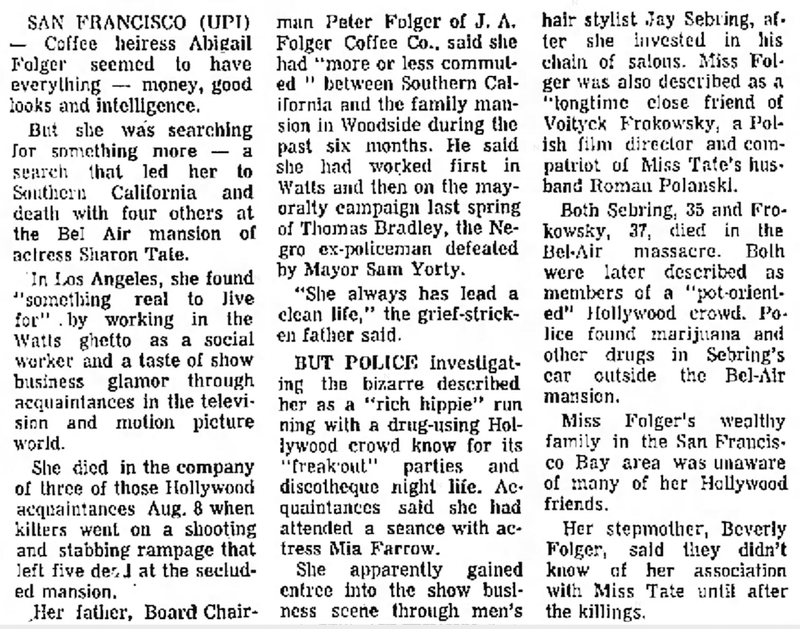 "I knew Abigail Anne Folger’s (one of the five people killed by followers of Charles Manson at the Los Angeles home of actress Sharon Tate) mother, whom everyone knew as “Pui.” She told me how horrible it was when having to identify her massacred daughter. As any parent would be. More unsettling was describing her brief appearances at the Manson trial. While she never spoke to any members of the clan, she knew everything about them when she would have the bad luck of looking into their eyes. 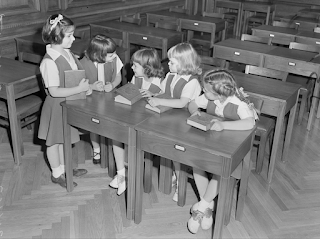 What she saw was the consummate definition of evil incarnate. It is rather clear to me that Abigail was not nearly as close to her father. This likely was the result of the divorce and his affair and child with his secretary, a young woman, only a few years older than Abigail. Abigail's response was possibly colored by her Catholic upbringing. I rely, in part, on this article from August 17, 1969 for this conclusion. 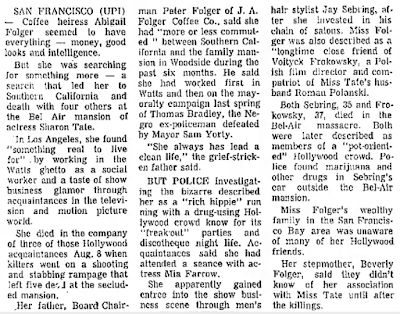 The article states that her step mother and father had no knowledge of her relationship with Sharon Tate and the Hollywood crowd while noting that her mother joined her in attending Jay Sebring’s salon opening in San Francisco in May 1969. 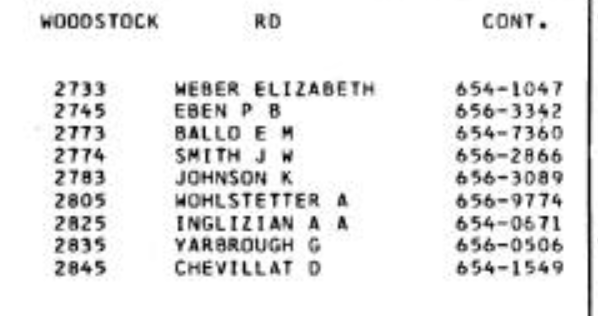 Frykowski did not attend nor was I able to find any record that Frykowski ever met Abigail’s family. 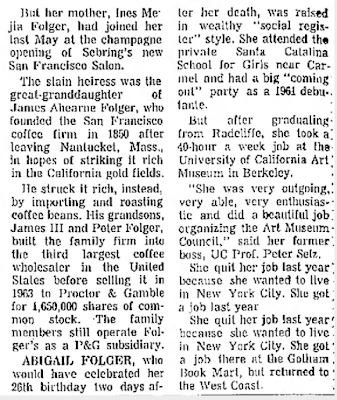 I suspect there were a number of things Mr. Folger did not know about his daughter because she didn’t share them. This may explain the rumor that he took steps to prevent negative press regarding his daughter after her death. He may have legitimately believed everything he heard was false and slanderous. I believe Abigail was rather disenchanted from her experiences, likely seriously depressed, self-medicating and still searching for some meaning in her life in August 1969. Tom Bradley had lost his election bid. Robert Kennedy had been assassinated a year before (she worked on his campaign too, in New York). Her social work had burned her out in a few months. Her relationship was in trouble. 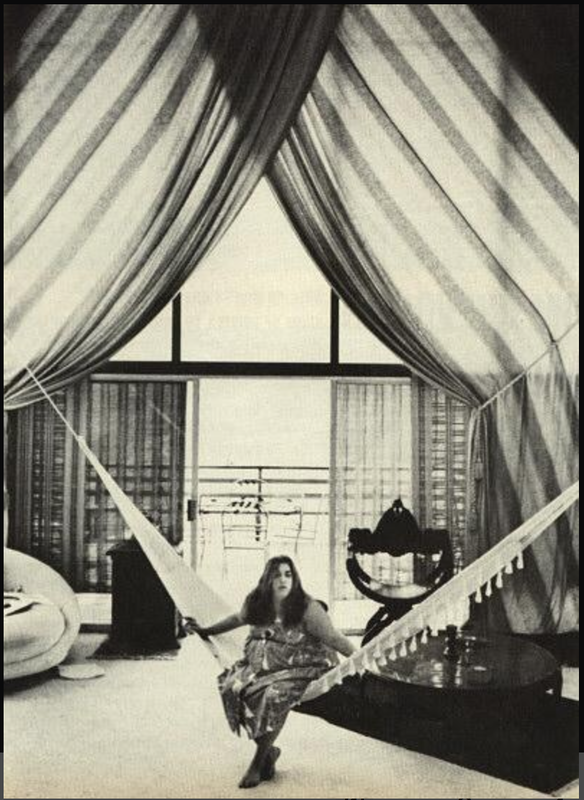 She was not accepted by Hollywood’s young elite, in part because she was ‘old money’ according to Michelle Phillips. She was using harder drugs than she had in the past and there is little to suggest she had a plan for the future. I think all this explains her frequent visits to Dr. Flicker. I reached out to Dr. Marvin Flicker and several others and asked if they might be willing to share something about Gibbie. I always give those whose privacy I ‘invade’ the option of simply not responding, telling them if they fail to respond I will leave them alone. I honor that promise. None responded. Gibbie purportedly on the left. Gibbie had a philosophy he remembered: “What could she do today to make someone’s life better”. If he heard this it means she talked to him about it as a child. He describes her as a “loving, hands on person” who seemed to be “genuinely interested” in children. He describes Gibbie was a “kind, warm, caring, gentle person”. On August 9, 2019, let us remember that. Gibbie, I hope I wrote you well. Labels: Abigail Folger, Cass Elliot, Voytek Frykowski, Witold K.